Whether you prefer white or red, sweet or dry, still or sparkling, wine is a staple for many a meal or happy hour. From casual sippers to experienced sommeliers, people around the world have been imbibing since at least 6000 BCE. Few flavors are as symbolic of summer as the sweet, fresh taste of watermelon. 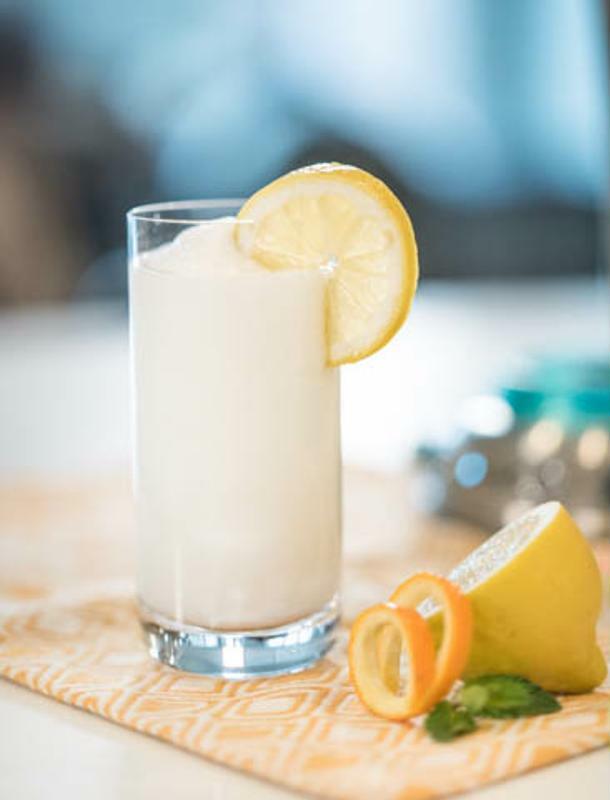 Elevate this timeless flavor with a tart kick of lemon from some limoncello and expand the flavor palate with the addition of Prosecco or another sparkling wine of your choice. Fresh sprigs of mint to garnish add more cool, crisp flavor to make this a well-rounded summer drink. This recipe from The Floating Kitchen is sure to be a hit at your next backyard barbecue or garden party! Add ice to the ice reservoir and all remaining ingredients to your Margaritaville® Frozen Concoction Maker® glass jar. Concoct and pour into glasses. Garnish with mint leaves and lemon slices. 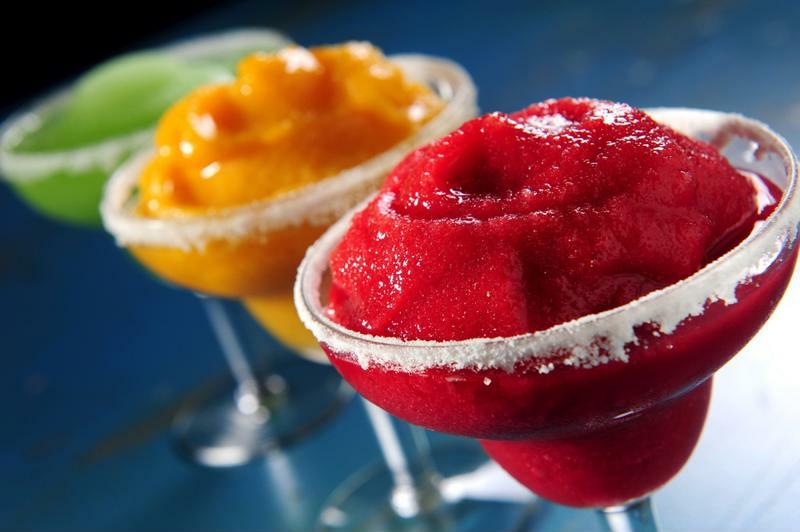 Fruity frozen wine drinks are the perfect refreshment to enjoy this summer. This fruit-filled frozen wine recipe comes from Modernly Morgan and is packed with the flavors of summer. The sweetness of seasonal strawberries, peaches and grapes offer a perfect balance to the fruity undertones of a bright moscato. Enjoy on your patio for a summer day happy hour, or whip up a batch (or a few) to take on a picnic with friends. Add ice to the ice reservoir and all remaining ingredients to your Margaritaville® Frozen Concoction Maker® glass jar. Concoct and pour into glasses. Garnish with strawberry slices and enjoy. Combine the tart taste of raspberries with a sweet red table wine for a slushy that's bursting with tantalizing summer flavors in this recipe from Maebells. Topping your frozen drink with a delicate chocolate whipped cream is the perfect addition for elevating this delicious pairing. Enjoy as a drink on its own during cocktail hour or indulge for an after-dinner dessert. Put ice to the ice reservoir of your Margaritaville® Frozen Concoction Maker®. Add wine, raspberries and 1 teaspoon of sugar to the Margaritaville® Frozen Concoction Maker® glass jar. Concoct and pour into glasses. In a mixing bowl, combine heavy cream, cocoa and remaining sugar for 5 minutes with an electric mixer on high, or until stiff peaks form. Top your slushies with the whipped cream and sprinkle with chocolate shavings. Pair white wines with tropical and citrus flavors for a well-balanced flavor combination. The sweet, juicy flavors of tropical fruits are the perfect complement to a warm summer day. This recipe from So Fab Food uses mangos, pineapple and peaches, but you can add your own twist with papaya, passion fruit, guava or the tropical fruit of your choice for a crisp, refreshing seasonal beverage. It's the perfect concoction to whip up on a beach vacation or luau-themed party. A white wine with citrus undertones like a sweet sauvignon blanc is the perfect pairing for your tropical fruit selections. Add ice to the ice reservoir and all remaining ingredients to your Margaritaville® Frozen Concoction Maker® glass jar. Concoct and pour into glasses. Garnish with pineapple wedges, paper umbrellas and enjoy. This delicate frozen rosé drink from Bon Appétit uses juicy strawberries to highlight the natural flavors of the wine. Use a strong rosé, like a merlot or pino​t grigio base, to optimize the flavors in this recipe. Add ice to the ice reservoir and all remaining ingredients to your Margaritaville® Frozen Concoction Maker® glass jar. Concoct and pour into glasses. Garnish with a whole strawberry and enjoy.